We cherry-picked 8 luscious prints from the collection to add to our civil war selection...i LOVE the gold and the dark blue...that's why i made a point to put them next to each other in the bundle...can't wait to add them into my Mrs. Billings! 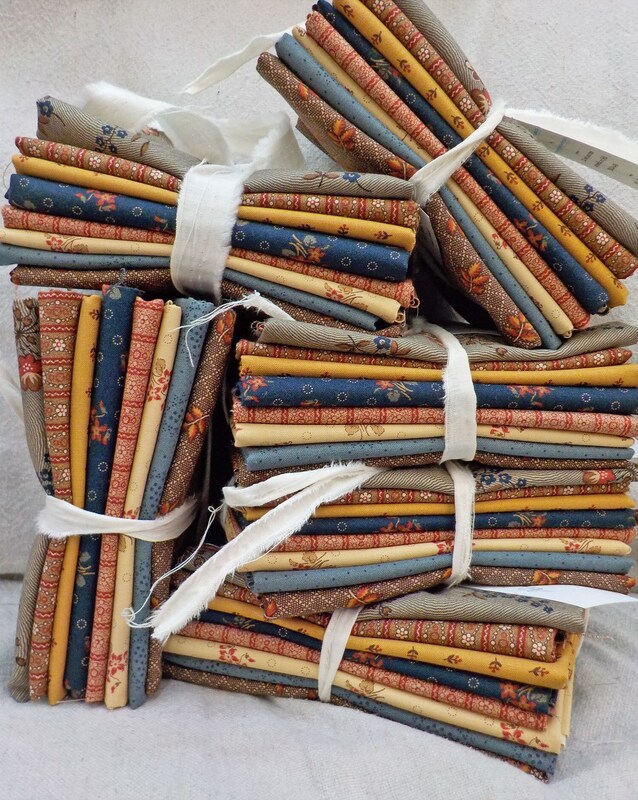 This listing is for 1 fat quarter bundle of 8 Hickory Road prints. International quilters...be aware that shipping differs GREATLY from country to country...so i have set the shipping higher. Once i ship your order...the shipping overage will be refunded.